This little line-up comprises my current skincare armoury; the weapons I've been using to combat the ravages of a recent illness upon my face. Each one is special and hardworking and most deserving of a place in your bathroom cabinet - and here's why. Massive in Asia, where women tend to use more products and incorporate more steps into their skincare regime, treatment lotions are starting to launch into the western market. The idea is that they prep the skin for the products you apply afterwards, and help them to better absorb. Patted on after cleansing and toning, this absorbs immediately and I really feel the benefit - my skin feels more hydrated, as if it's sucking up more goodness from my serum and moisturiser. If your face needs a hydration boost, this could well be the answer: it's €25, and it also smells delish. The HealGel range - HealGel Face, HealGel Intensive and HealGel Eye - is the creation of a team of UK plastic surgeons, to help heal post-surgery skin. With ingredients including arnica and hyaluronic acid I was expecting good things, and I was certainly enjoying this lightweight gel as a daily eyecream. But when I bashed a box off a shelf and into my eyes recently, I got the opportunity to give it a really thorough trial. Somewhat miraculously, the bruising was gone within days - this is seriously good stuff. Availability in Ireland isn't great but you can buy online (£32) or look for it in Space NK in the Dundrum Town Centre. 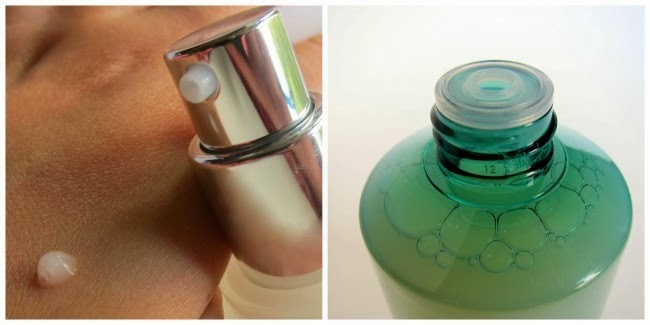 This works wonders on irritated or dehydrated skin. I lashed it on on the plane coming back from Italy - and got into a nice chat with the lady next to me as a result. She's also a LRP fan, and why wouldn't she be? A light gel cream, this feels incredibly soothing and hydrating - you can watch your skin literally drinking it up, as it disappears first from your most dehydrated areas (in my case, my forehead). This is €16.50 from chemists and one I want always to hand. Formulated to clear dead skin cells and retexturise the skin, I'm using this once or twice weekly as a mask. It has the signature Merumaya fragrance: luxurious and soothing, which makes the range such a pleasure to use. The products are fabulous, too. This is gentle, but effective - my slightly sensitive skin gets on with it just fine, with just a little tingling which tells me the product is getting to work. Wash it off after ten minutes to reveal brighter, more radiant skin. Find it in Arnotts for €24.50. Fancy adding any of this fab four to your bathroom cabinet? Loving the sound of the Origins, also that masque IS amazing! Love the sound of the Origins Lotion. 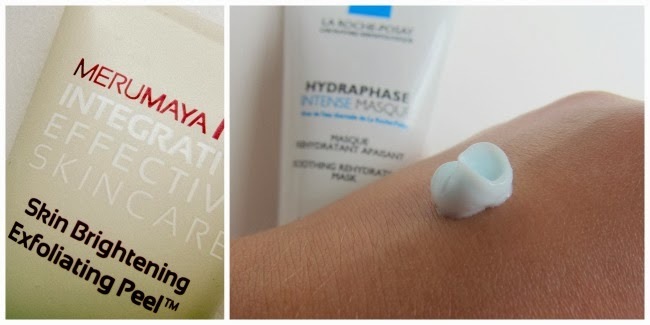 I'm a big fan of the LRP Hydraphase Intense Masque - I sometimes even use it as an overnight mask for added benefits and my skin feels so hydrated and soft for days! I really like the sound of the Merumaya Skin Brightening Exfoliating Peel.. I've never tried a peel before, would they be similar to exfoliating toners? Definitely going to need to get my hands on that LRP mask. It sounds amazing! I love heal gel eye too, it's so good! All of these sound fantastic. I'd really love to try that LRP mask! Aw your poor eye :(. Glad the gel worked out though! Sounds amazing! Wow cool that one helped heal your poor eye! And now I've got to try that Origins toner thingy-sounds like something I need! I love that you always introduce me to products and ranges I would have otherwise never known about, these sound pretty great! Stopping by to say hi.. Hope your week is going well! I want to try Origins and Laroche! They sound awesome Emma. I've been using the 'Yes To Carrots' range for ages and it's never done me wrong but I feel like I need to change things up a bit! I will definitely look in to some of these products! I just need a refresher/ overhaul. You just reminded me to put the LRP Hydraphase Masque on my wishlist, I've only heard good things about it and it's time I gave it a try (having finished the serum from that range I suspect I'll enjoy it just as much)! I'm definitely interested in the LRP masque after hearing such good things, you really can't go too far wrong with La Roche Posay. I still haven't ever tried Origins, I need to get on that! I love reading these posts. I am lacking major skincare prowess right now! These all sound lovely. The LRP Hydraphase Masque is on my wishlist for the winter but I'm adding the Origins lotion to the list. Come winter and central heating my skin needs all the hydration it can get. wouldn't mind giving them a try!